"Connecting Overseas to stand up in the market "
Though I had less experience in corporate world , I can Assure that LinkedIn help you to know at what heights you're and get connection overseas to grow and explore your skills for enlightening. Being in business corporate world , We use this tool to get more connections worldwide professional . We build promotions via LinkedIn , More positive response and customers for business . "Use to get to clients"
I like that you get 15 in mails a month. That helped me get to different client targets that were unreachable before I did LinkedIn Premium. You also are able to see everyone who has viewed your profile. It also separates those people into where they are professionally. The price is very high for what it offers and depending on what you want to do with LinkedIn Premium the price is higher. I don't see much more it does over the free version. Know that it can be pricey for what you are needing from it. In order to justify the price you need to be pulling in five figure contracts. The business problem I am solving is getting to the decision makers. I don't have to go through a gatekeeper. "Great for growing your business through social selling"
I love that you can see everyone who has viewed your profile and also unlimited searches. if you are prospecting on linkedin and looking to grow your network - premium is a MUST! because it gives you the ability to dive deep and really get to all the important leads that you need in order to be successful in whatever industry you are apart of. sometime the searching is difficult where it doesn't show new people. needs to be creative sometimes on what keywords you are searching for. We were trying to find a better way to prospect. The key performer is knowing who your target market is - whether it is alum, specific industry, sports enthusiast - you can find them on LI. We needed to get intouch with the right people and LI is helping us to do so. "Great insight and perks for Job-Seeker Premium." I have the Job Seeker Premium level, and I have benefited from the Job Seeker Premium discussion group, as well as the Premium insights provided when looking for jobs. The ability to message recruiters and company connections is quite a bonus, too! At its core, LinkedIn is an excellent platform. Premium provides much more, which has been a fantastic benefit for job-seeking. I do not know much about the other levels of Premium, but I imagine having a more well-rounded LinkedIn experience is an excellent benefit no matter the level! I decided to invest in Job Seeker Premium in order to expand my networking and job search skills. I have been able to see many different perspectives on job hunting thanks to the Job Seeker Premium group. By having this group private, there is a protection against being "outed" by a current coworker or employer (which is not applicable to me, but still...). i am a sales development representative at datadog and i love using linkedin premium. my company, datadog, pays for the premium so that we have access and so that we can be better sales people. being a sales development representative, it's sometimes difficult to reach clients and having in mail credits is awesome. contacting prospects and selling datadog to them. I value the ability to send an InMail to a person who's outside my network. Also great to see who's viewed my profile. I only just realized I have access to online learning through my Premium subscription, so I'm looking forward to taking advantage of that! If I'm not mistaken, when messaging with the built-in chat hitting the "Return" key sends the message. That feature is a pet peeve of mine since I often forget and have sent messages before I was ready (when I was just trying to add a paragraph break) - it'd be great to be able to have an option to have that key behave differently. If that's already an available preference, would love to know that! For work, I've used LinkedIn to find companies and individuals that seem especially likely to benefit from our company's offerings. Currently, LinkedIn is the most popular business connection site in the world. ...but the job listings is incredibly infuriating. In spite of adding filters, jobs are presented in various lists and NOT IN THE CHRONOLOGICAL order the were posted. You can then delete some job offers you are not interested in on some lists, but they can reappear in the same list or on another list. It is a ridiculous exercise in searching and filtering. Provide a single, simple list of job offers, in chronological order of posting, the user can effectively filter and permanently delete parts of. The various lists of jobs are confusing and ineffective. LinkedIn remains a great forum to connect and communicate with business. What a shady business practice of auto-renewing a service with ZERO warning that a renewal date is coming up. What a shady business practice of auto-renewing a service with ZERO warning that a renewal date is coming up. And when I tried to dispute the charge, guess what......not a single customer service phone number to call. I guess LinkedIn does not understand the concept of the life-time value of a customer, or providing long-term valuable services to their clients. Instead they are making it as difficult as possible to speak with someone. Jeff Weiner might want to spend less time courting Oprah and more time talking with the people at Apple or Southwest Airlines, who know how to serve customers, quickly, professionally, and always make the customer feel good about the resolution. I love that is has a deeper understanding of companies and allows for easier prospecting. I am able to do deeper prospecting and learn more about companies and people (prospects). You are able to follow companies and get updates when they are posted which allows you to make a more personal email to them. "A must for anyone on the Job Hunt!" The best part about being a Premium member is how easy it is to scope out potential jobs. Once you filter by Industry, location, salary etc there are almost too many options to look through. Also, more job openings are added every day. Some of these openings you can "Apply with LinkedIn Profile" and it only takes one click. To make the job search even easier, you are able to download the LinkedIn Jobs app to your smartphone. Using Inmail you are sometimes able to contact the recruiter directly which is a HUGE plus. There is no part of LinkedIn Premium I dislike. However, I found no need for it once I landed a job. A must if you are looking for a job. Also, I noticed the clear benefits of using LinkedIn Premium as a sales tool. Having Inmail options seems like an more convenient and personal way to contact a potential buyer rather than the classic cold call. As stated above, the benefits I realized while using LinkedIn Premium were many. The instant one click apply button, the recommended job LinkedIn provides daily, the mobile app, and the use of Inmail to contact recruiters directly. I highly recommend LinkedIn Premium for anyone looking for a job. "Try cancelling your Premium Memership"
So far the best use I have been able to take advantage of is to confirm if a particular person works at a certain company. And even that information if iffy because the person may have not changed their profile on linkedin. I am linkedout. When trying to contact Linkedin on the phone, there is no direct phone number provided to call! You have google several different phone numbers, which state that you call and get a live person on the phone which NONE of the numbers connect to a live person. It is an act of Congress to cancel your membership. I recommend that linkedin provide an easy way for the membership to make contact with customer service. It seems like linkedin it set up to avoid speaking to their membership to avoid dealing with issues. I contacted several potential customers through the website. Very few will respond. Being able to send direct messages is probably the best feature with LinkedIn Premium. The searching tool is great and being able to integrate with Email Hunter and Datanyze are LIFE SAVERS. Having more allotted monthly direct messages would be nice. Having more extensive search tools would be nice, too. As always, it helps to have someone at your organization who already has experience with software. That way you don't always need to rely on customer support for all your questions. We are making the web a more meaningful place. We proud ourselves on accomplishing a lot with a small team. Because of this, we all wear a lot of hats and efficiency is key. LinkedIn Premium allows me to do this. This is a MUST tool for any account development, account executive, sales reps, etc. "LinkedIn premium has opened up a world of prospects that fit our ideal customer profile"
LinkedIn has helped optimise our search capability. We are a vertically aligned sales unit, so being able to search both company and person on vertical alignment eases our search. The advanced search enables us to go that level deeper and find more prospects in each account. The premium element unlocks additional profiles and information which we are able to use to 'warm' cold sales approaches and calls. LinkedIn premium sometimes jumps around the page, when selecting your search criteria in the advanced capability you have to scroll down, as it jumps to the top of the page. It is a fairly costly solution, but if you are using it to drive sales data in conjunction with another tool like Salesloft, it is very powerful. I believe it has a database of around 300 million and growing, it is much more up to date than buying lists and can give valuable insight to warm sales calls etc. It is helping us to uncover contacts that fit our ideal customer profile, we are using it in conjunction with Salesloft which is a great add on. I would recommend both in conjunction to streamline pulling of contacts. "Improving interface but needs better integration with sales navigator"
Sales Navigator is a separate step - you have to actively choose to use it rather than it being the standard screen when you login. It is not a cheap solution - perhaps test it first with some key users - including detractors. Find out what works and what does not before committing. By far the most important tool is the inmails. They spout it on their site that inmails get a better response rate than cold calls and emails and I honestly believe it to be true. When I am marketing for more business, inmails get me a great response rate. I don't know how Sales people can get by without Linkedin, especially if your company does not have a robust database to begin with. If you are opening a new market, or just trying to build your own brand, LinkedIn is a must. The upgraded Sales accounts do offer some necessary functions, namely inmails. They work! The best and most popular user-content generated professional network. I like the search criteria features and the large wide network of users from various industries, markets, and territories. Indeed LinkedIn has connected more people than any other professional network. Pulse, Ellevate, and connected are great apps as well, in addition to unique social selling tools like prospector and elink and inamil that boost the sales funnel. The pricing model is so high that not all companies can invest, particularly startups with limited cashflow. Consider trying the solution for your team beforehand, and invest on the solution with key users LDRs and SDRs, before rolling out to optimize the cost and increase Roi. I loved that you were able to turn off and on certain features that you typically would be unable to with a standard account. I also like that you are able to private message people without having to be connected to that individual. The pricing in my opinion was a bit steep to really be able to use it for what is is intended. Being able to connect and contact people via linked to get another touch point with a prospective lead. The fact that having a Premium account adds a lot of credibility to your profile. This is very important when you are approaching people for jobs on LinkedIn. Another good feature is that it displays how you fare against other applicants for a particular job opening. Lastly, the courses on LinkedIn Learning are also really informative. The price is a little too high, especially for a student like myself. Another thing that can be changed is the number of InMail credits that are offered. Normally, a user is just allowed 5 InMail credits and this can be increased a little. "Linkedin Premium Was Suprisingly Helpful!" I like being able to contact people I am not connected with, and being able to view their full profiles to network and build professional connections. I dislike the pricing plan. The best feature to me is sending Inmail, and for just that feature, I feel there should be a lower price plan. The other features are based on algorithms that I feel change and are inaccurate. I feel this, because I would refresh my browser and the insights would be drastically different in a short span of time. I found that unhelpful and deceptive marketing-for which they want me to pay! Definitely give it a try-they offer a trial version! I wish they still had the student plan, but I do feel it is worth the investment for early career talent. Business problems solved- greater amount of data and insights to draw from it, granted it is accurate. Inmail connection allowing for direct conversations. Benefits realized- the ease of networking with the way the platform is setup, and getting demographical information that is helpful. "I couldn't survive without LinkedIn Recruiter"
EVERYONE knows about it and uses it so candidates are bombarded by InMails everyday so sometimes you need to find another way to get a hold of candidates. I am solving the problem of finding solid candidates for the positions I am trying to fill and LinkedIn definitely helps with that. I liked the ease with which my linked in premium was set up and activated. I found that I received a lot of feed back from following the directions in setting up my account. I liked being able to view the linked in accounts for employers that I had interviews with as well as seeing who was looking at my account. I disliked the cost. I enjoyed the trial period though. I found it hard to search for jobs within my field in my current area. I found several jobs that I was qualified for, however most of them were states away. I was currently looking for a job. I have since found a dream job. "Tangible value is difficult to demonstrate"
I like the idea of the features advertised. Being able to see who views your profile is nice. The belief that somehow your profiled will be more discover able by employers is also nice. The features on their own are not worth $30/month. Every bit of information seems to indicate that subscribing to premium will somehow grant you better access to the employers you'd be interested in talking to, but this is nearly impossible to verify on the customers end. The email feature isn't any more useful than the normal messaging system. If you are simply a new graduate or transitioning professional looking to network into a job opportunity, I did not find any value in LinkedIn Premium towards this goal. I subscribed to 4 months of premium, with no tangible benefits. It really helps me in making many professional contacts related to my domain. Share knowledge and search also helped me search for the right knowledgeable person from the site for the right position. The recommendation section in linked in helps us identify and analyse a person. The inmail feature was the only thing remotely useful. It was totally useless otherwise. Also they will charge your account so don't forget. Also, the new linkedin interface in general is horrible. It's only a matter of time before some other networking site takes that market. Don't do it. Better to burn the money for heat. I was using it for a job hunt in another country. I did not realize any benefits. Had no additional insight into who was viewing my profile. No additional uptick in job leads. No response from inmails sent. The premium thread questions were the same quality as the other lists I was on, except being general basic questions they were pretty useless compared to a simple google search. Nothing! I have not been able to use this product or receive any refund. I signed on for a free trial and canceled before the deadline. The fine print says you have to cancel before a billing-cycle deadline that was before the deadline in the notification they sent me. I was charged hundreds of dollars for a service I have no way of accessing. I could not be more upset with this service. "LinkedIn Premium is a great program, brings more usability than standard LinkedIn"
LinkedIn Premium's functionality is great and expands upon standard LinkedIn. It helps you find many more connections and colleagues than you normally would. I don't really see many bad aspects about LinkedIn Premium. Finding different aspects of LinkedIn that are bad is difficult. I would highly recommend LinkedIn Premium to any sales or customer-facing organization in any business. There is no reason for businesses to not leverage LinkedIn. LinkedIn Premium makes it easy to find valuable connections. The benefits are that we can find customers, partners, and colleagues through our existing connections. Additionally, the other Premium functionality has good business value. "LI Premium is a MUST"
Lets you see things you automatically think you should be able to. And the InMail feature is huge. These features should come free, but I'm cheap, so I say that about everything practically. Anything from Account-based email marketing, to keeping up with college friends. Super easy to use and the Premium features make the stack really work. "Using premium for some years now "
Acess to relevant contacts, insights about my profiles. We are a vertically aligned sales unit, so being able to search both company and person on vertical alignment eases our search. "Worth the upgrade while on the job hunt!" Love the insights you get when applying to a haunted job. I've personally reached out to alumni and others that I have min connections with through the variable insights to find out more about the role, company and tips to ace an interview. It isn't the most cost effective as I have used it during free offers but have failed to see a deep impact on my job search with premium. I just spend more time trying to find alumni and other information I need. It's time saving vs cost effectiveness. "Perfect way to Source good candidates"
I can send email message to everyone regarding my Job. I can do proper conversation. As a recruiter, it is the best tool I have in my box. I am connected to so many others and can fill positions up to 30 days faster than I was prior to having a premium account. I don't like that you can view others in private mode. This is a networking sight which implies visibility -- I want people to know who I am when I see them and I'd like to know who is viewing my profile. Don't be afraid to connect with others in your industry that you don't know personally! I am filling jobs much quicker and I am able to network without ever leaving my office. "Approacing potentialstrategic partners for my business"
can contact people I dont know. People want to connect with people they DONT know. what is the point of the system if I cant approach even the guy sitting next to me in the office if I dont know his email address? Hopw can I contact potential customers like this? That I can't change some of the filters, like if someone on my team viewed a profile or messaged a candidate in the past 1 week or 2 weeks. It helps me find a ton of candidates for my recruiting role. "Why don't you have this?" LinkedIN Premium is an essential tool for either a recruiter or job seeker. From it's increased functionality offerings (getting a better idea of who's viewed your profile/job listing) to featuring applications that are particularly relevant first this is THE tool for HR related activities. Honestly? Nothing that LinkedIN has any control over. This is the perfect tool for me and my job search - although I wish InMail had a bit more functionality and it you could reply from your own email account rather then using LinkedIN's anonymized one. I also wish that I could see everybody that comes to my profile. Use it. You won't regret the extra (minimal) cost from utilizing this tool. If you're looking for a job or trying to find someone to fill a role - this is the best possible tool you could use for filtering people/jobs and going down the path to employment. "Great for Generating New Leads"
Premium is easy to use and very intuitive. It comes with several features that are great for lead gen. Nothing. I find it to be very user-friendly. Do the trial and explore all the features for yourself. I'm adding targeting connections, reaching out to new leads and getting on sales calls. I like that our entire team, each with their own licenses, has the ability to share projects with the entire team and see who has viewed who, sent them a message, etc. I dislike some of the features in which LinkedIn organizes certain lists-I used to be able to put candidates into a folder and alphabetize them by name or company, which made it easier for data entry purposes. I also don't like the fact that we by such a robust and expensive product, with multiple licenses, and can't search jobs by salary amount. I do not have any further recommendations at this time. We are able to find candidates in the right industries. It is convenient having a huge number of candidates at your finger tips. The ability to send inmails and reach target prospects which you'd otherwise be unable to message directly on the platform. It also comes with a nice badge! The inmails can lead to certain individuals being overwhelmed with requests. The price tag is also pretty high. Try it on a monthly subscription. You'll know quickly if the inmails are working for you. As a sales person, this helps me fill my pipeline with valuable leads and ultimately helps me reach my sales quota. "Very useful for developing a network"
As a sales professional LinkedIN has become a central part of my daily routine - checking leads, finding new leads, reading interesting blogs. It isn't really a problem of LI, rather the users but I wish there was more safeguard for when people abuse the system - send innappropriate connections, post things that aren't related to business, etc. Really good piece of kit, use it the right way and it'll make your network a great asset. "Awesome Tool for researching Prospects"
I like LinkedIn because it helps, eliminate the cold cal, helps organize my contacts when i change positions, takes away location obstacles. no more referrals, and makes business intelligence easy to find. I solve the business problem of searching for locations of prospects and their company history. "LinkedIn Premium ---- Worth the Cost!" The ability to have additional insight and tracking is paramount! Seeing who has viewed your profile gives you a great baseline for follow up, especially when either job hunting or looking for new talent. The increase in InMail messages is a great feature as well. Definitely could use more InMail messages. Definitely worth the monthly fee! I use premium as a recruiting tool without having to invest in LinkedIn Recruiter. It allows me to track down the passive candidates I might not normally find. "Linkedin as a premium user"
Linkedin is helping people understand data related to themselves, their skills and their network. Linkedin is a long term play that transcends any previous measure of your own sphere of influence. Premium service offers more granular data and is an enabler of trust and rank as we head towards Web 3.0. The new publishing service is I think based on network reach and influence, but it may also be part of premium service. I expect to see more data exposure that will yield insight into our business networks. Premium gives you a first adopter status in these new data segments. The facebook like updates, that should stay on other sites. I do way too many hides (remove view) of spammy material in the general update section. I think as a premium user it would be better that we are not spammed by advertising ... cake and it rings in my head! We are business people, our status as a premium user demonstrates we value the service. Linkedin is helping more people find the right people to do the type of work required in these rapidly changing digital landscapes. This works for all of us as a trust network. "Well it was helpful in giving me a leg up and job searching." I liked that they kept in touch with you through email and that they moved you to the top of the list to new job opportunities that matched your criteria and interests. I disliked that they pushed you to continue to pay for the service after the free trial and that they weren't going to let you know when the free trial is up. This could make someone who wasn't paying attention spend money on a service that they might not be using. I was able to job search more efficiently using this tool. "Allows for greater access to targets"
"The social media gold standard for professional networking"
Having a LinkedIn Premium account is the only way to get full access to the complete LinkedIn experience. Only once you have this level of membership can you really see how restricted you are with just a free membership. As someone who has worked for years in the staffing industry, LinkedIn is an extremely powerful tool and network so that I could make connections with both potential candidates and potential customers. 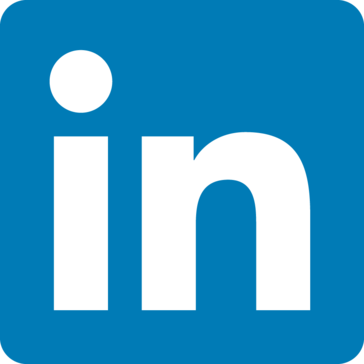 By unlocking the InMail system which takes away much of the restrictions on reaching out to people outside of your immediate network, LinkedIn suddenly becomes almost twice as useful. There are also more sophisticated ways of searching and filtering your search results, which can both be amazing ways to better fine-tune your searches. LinkedIn Premium also carries a rather premium price tag. That's to be expected considering the host of extras one gets when upgrading over lesser accounts levels. Plus, if you work in a profession where a tool such as this can be directly tied to ROI, it's a great investment. In recruiting terms, if only a small handful of filled jobs can be traced back to your use of LinkedIn Premium over the course of a year, the investment pays off in spades. Absolutely worth checking out, but do bear in mind that the product does carry a rather substantial cost. I have utilized LinkedIn both while working for a specialized staffing firm and as a corporate recruiter. I've found there to be substantial benefits in both roles. I'd say the biggest bonus is the number of people you can have access to who could match the requirements of your position who aren't necessarily actively on the job hunt. Being able to find and reach out to these passive candidates is very valuable. "In my line of work - LI Premium is a necessity"
LI Premium allows me to reach out to a world of potential candidates for my clients. It's not the end all but it's been a great place to start when it comes time to research people and companies. In recent years it feels like LI has been giving us less for the same amount of money. It's tiny minor changes on a regular basis that are meant to push basic users to Premium and Premium to Recruiter. I believe there are free trial available. Make use of that and see if this product is worth the money. It really depends what you do, or what you need to do in (short term) and what you want to get out of it. If you're on the fence about it, it's probably only a temporary necessity, in which case, you should just go for it. LI Premium allows me to network in the most comprehensive business networking site ever built. Ability to look at hiring managers, people workting at the company etc. Also tells us the titles and see hiring manager titles. Looking to get a job. Also trying to get sales leads. But sales leads are a big problem because not many people are looking at their linkedin profiles. "Great for Sales and Marketing Professionals (and job seekers too)"
It is an awesome networking tool, easy to use and intuitive. LinkedIn Premium accounts have proved their value ten fold for both find potential customers/clients and getting in touch with them or for my next job. I was able to really get out there and network to find a new role and now that I've found the new role I can easily expand my network and find new contacts to market and sell to. It can be a bit pricey if you have to pay for it out of your own pocket, but the different tiers of the subscription can make it a bit easier. I solved both my personal job seeking dilemma and have been able to find new information about potential business customers and partners (as well as keep my finger on the pulse of existing contacts who may have changed roles). "A must-have tool for effective demand generation"
-- InMails - great way to reach out to prospects directly with a high degree of confidence that your message arrived. -- Greater visibility -- see more contacts on searches, and know who's searching my profile. -- Cost. A premium plan is pricey on a per-user basis--especially if you don't need as many InMails as are provided. If you're not sure that you'll make full use of the InMails, try buying them one at a time for a month or two. If you're not sending at least five or six buying them one-off, you probably won't send them when they're "free" in your premium account. LInkedIn premium subscriptions provide an ability to reach out directly to prospects with personalized messages. Alternatives (like Data.com+email or Guessing+Email) don't give one the confidence that you're reaching the right person, or that the message was actually delivered. With LinkedIn, you know exactly who you're trying to reach, and know that your message has not wound up undelivered or buried in the junk mail box. "Product is experiencing some natural decay." The sheer amount of people on LinkedIn proves it to be the most effective tool at reaching millions of people. The crowding out effect, it seems that when more people are recruiting on LinkedIn, the less the qualified candidates check it and dismiss it as a spammy tool. Recruiting. Its a necessary part of any recruiters toolbox right now. That said, I am not sure if it will be as powerful years from now, as most in demand talent is overwhelmed with messaging. * We monitor all LinkedIn Premium reviews to prevent fraudulent reviews and keep review quality high. We do not post reviews by company employees or direct competitors. Validated reviews require the user to submit a screenshot of the product containing their user ID, in order to verify a user is an actual user of the product. Hi there! Are you looking to implement a solution like LinkedIn Premium?